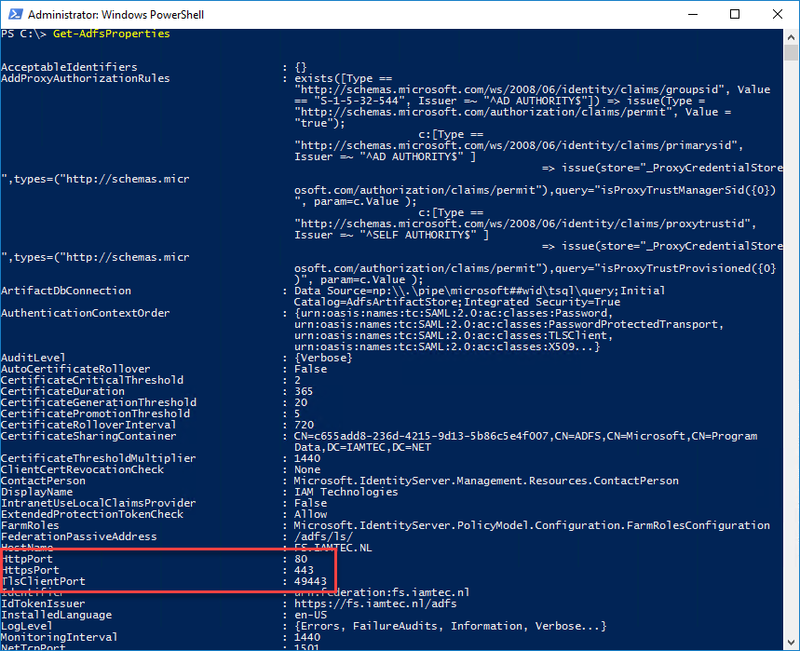 Will it work to have WAP v3.0 (WAP in Windows Server 2012 R2) in an ADFS v4.0 Farm (ADFS in Windows Server 2016) during an upgrade/migration scenario? Yes, it will, even if you increase the ADFS Farm Level! There is a “BUT”, and that is it will depend on what you are using! 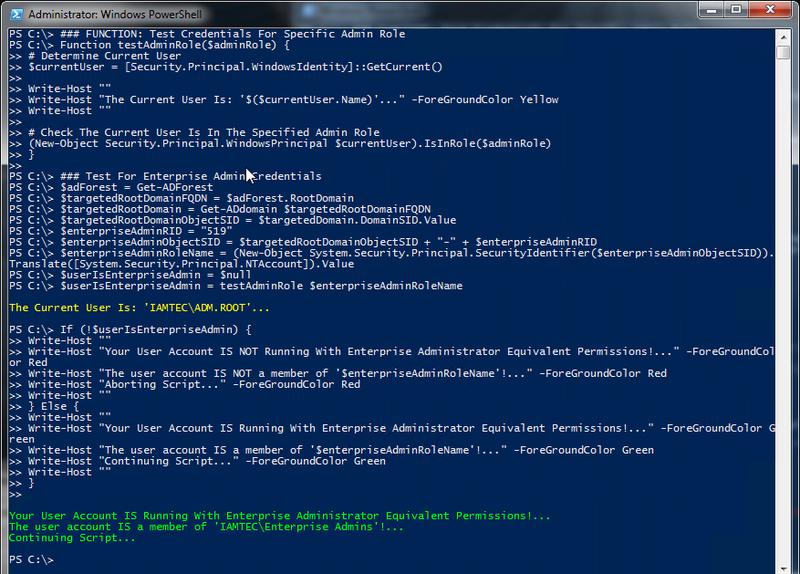 If you are just publishing applications and doing your thing as you were with the ADFS v3.0 Farm, you are OK to go. 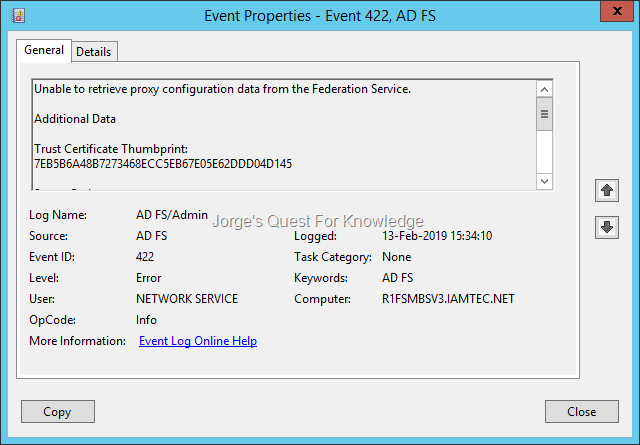 The federation server proxy successfully retrieved its configuration from the Federation Service ‘FS.IAMTEC.NL’. 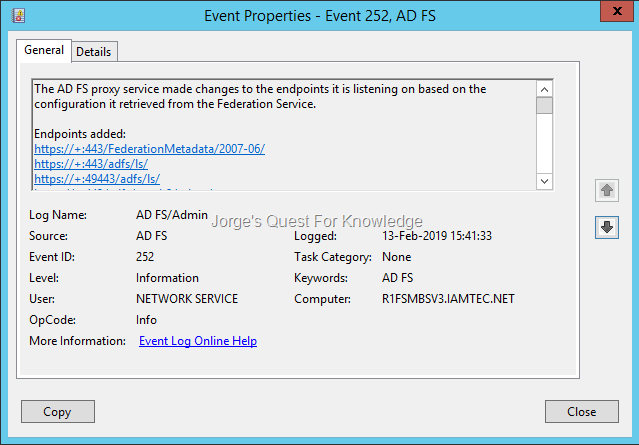 The AD FS proxy service made changes to the endpoints it is listening on based on the configuration it retrieved from the Federation Service. Remember though that ADFS v4.0 supports other endpoints. And that’s were the WAP v3.0 may not understand everything published by ADFS v4.0. 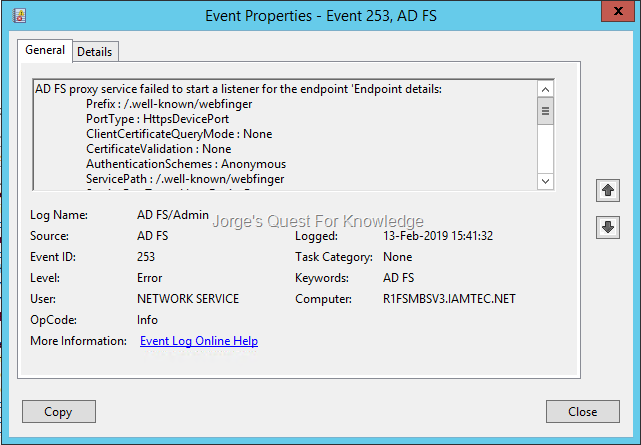 For the following endpoint you will see the following error when WAP v3.0 retrieves its config from the ADFS v4.0 farm. 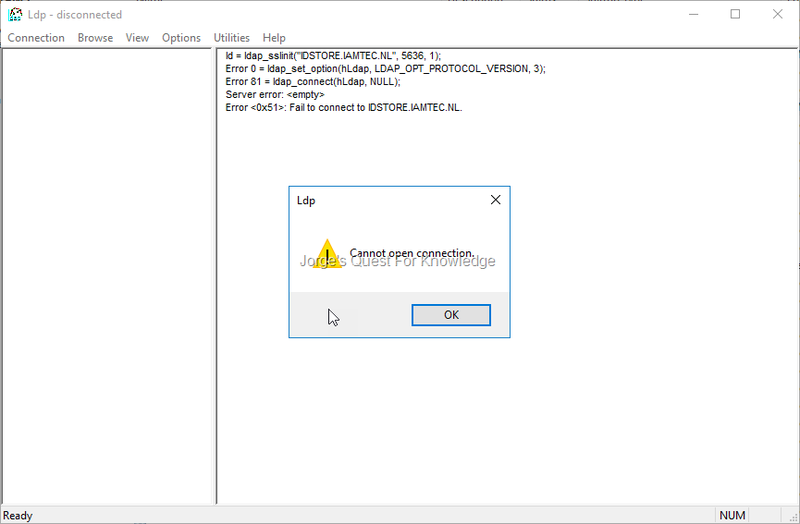 As soon as you enable “Alternate Host Name Binding” you will see the following error when WAP v3.0 tries to retrieve its config from the ADFS v4.0 farm. Also pay attention to what it suggests you should do! 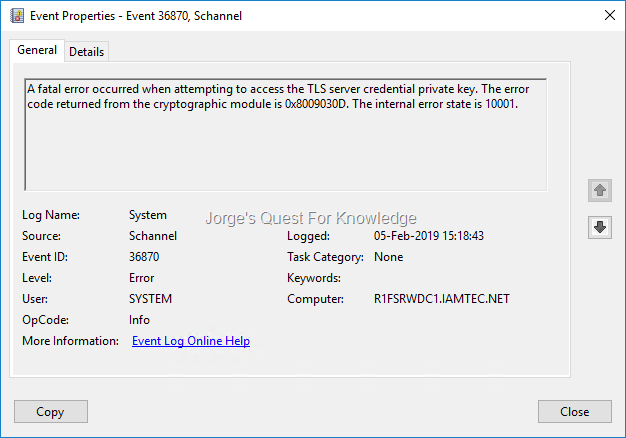 System.Net.WebException: The remote server returned an error: (426) Upgrade Required. 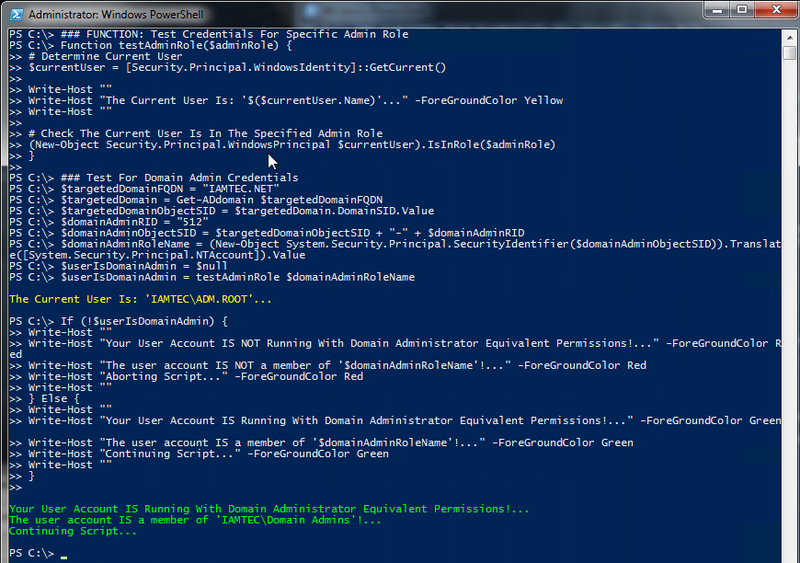 If you want to make your WAP v3.0 again in this scenario you really need to disable Alternate Host Name Binding! So before enabling “Alternate Host Name Binding” make sure to upgrade your WAP v3.0 to the latest version, it deserves it! Now, is this a complete list of what can go wrong? Probably not, therefore be careful! 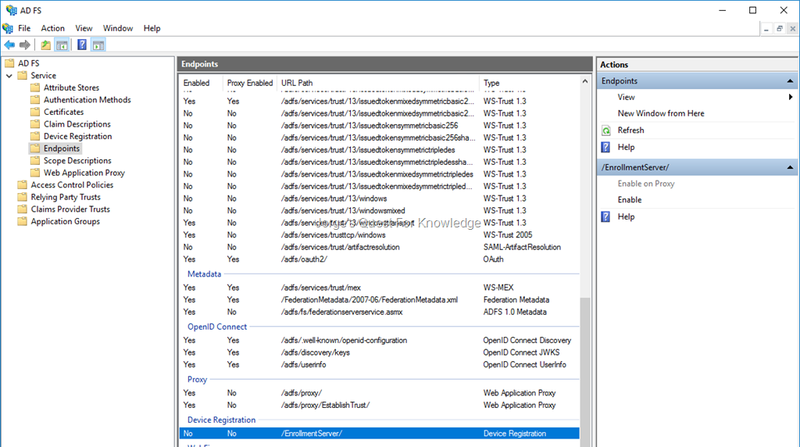 ADFS supports many authentication methods for primary and secondary authentication, especially ADFS 2016 and its successor provide many authentication methods. “Certificate Based AuthN (CBA)” is one of those methods. It can be used for both INtranet and EXtranet scenarios in ADFS. How CBA is implemented depends on your ADFS version and the details of the SSL certificate. WARNING: This command configures a new binding on every ADFS server, reconfigures the TLS Client Port to 443 and will restart the ADFS service on every node!!! 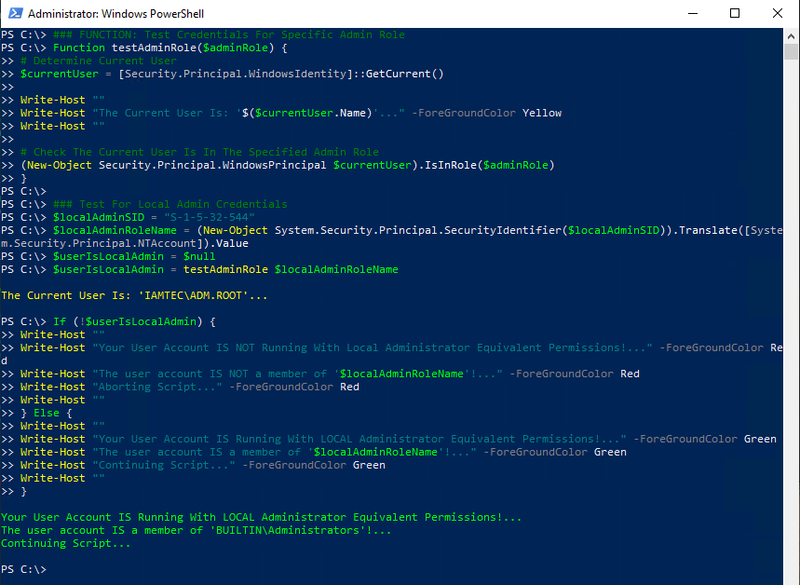 Either modes support both primary and secondary authentication in ADFS! Works perfectly! 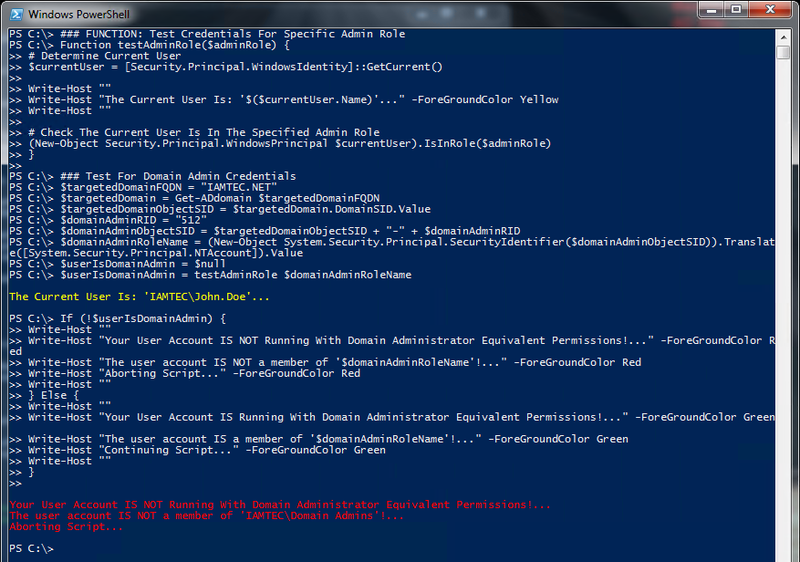 Some time ago I wrote a PowerShell script to reset the KrbTgt Account Password of both RWDCs and RODCs. 1 fix that resolved 2 issues at the same time! 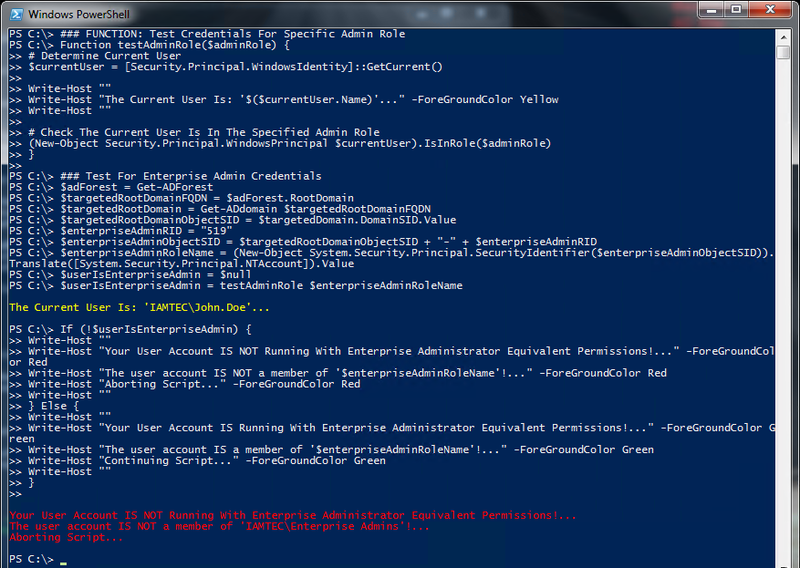 In the case of ADFS servers you may end up with self-signed certificates in the Intermediate CA store. Those self-signed certificates are most likely root CA certificates and those should be move to the root CA store. First you need to identity if any self-signed certificate is not a root CA certificate. In that case you can most likely remove that certificate from the intermediate CA store. 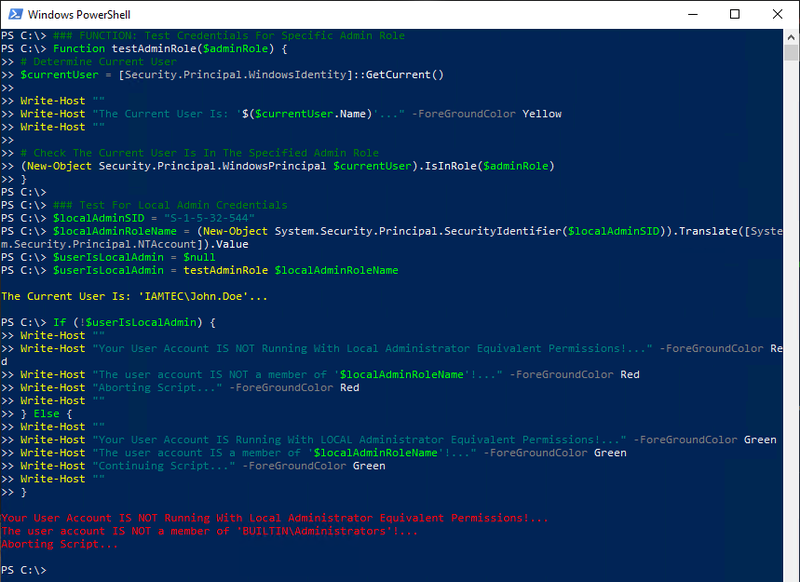 In your scripts you may need to test the current account used by the script for admin credentials, either local admin, domain admin or even enterprise admin. If you really want to be specific you may want to test if a user is a member of a specific group. In the latter case you use a group that was defined by you, hence the group name being targeted is specific and known. 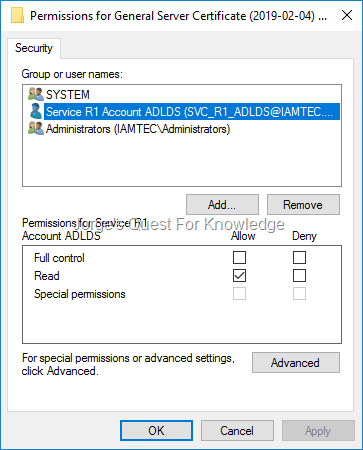 However, if you need to test being a member of the default admin groups in Windows or AD and you are in a global environment, you may need to cope with language differences. For example local “administrators” in dutch is “beheerders” and in portuguese it is “administradores”. Under the hood there is a common thing that can be used and that is the SID of that group which is universal and language independent. 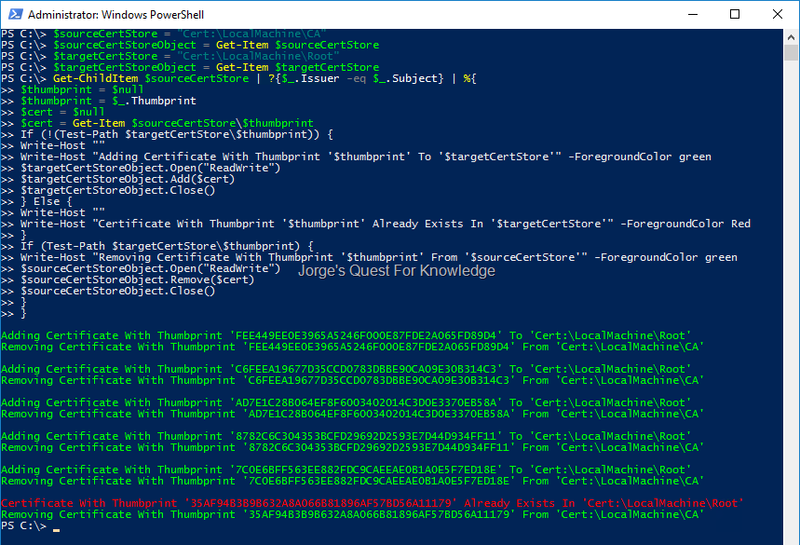 So, how to use that in PowerShell scripts? The local administrators group always has the SID “S-1-5-32-544”, no matter what it is called. Therefore based upon the (object)SID of the local administrators group we need to translate it into a a group name. The domain administrators group is AD domain specific but always has the RID “512”, no matter what it is called. Therefore based upon the AD domain based (object)SID of the domain admins group we need to translate it into a a group name. The enterprise administrators group is specific to the forest root AD domain of an AD forest but always has the RID “519”, no matter what it is called. 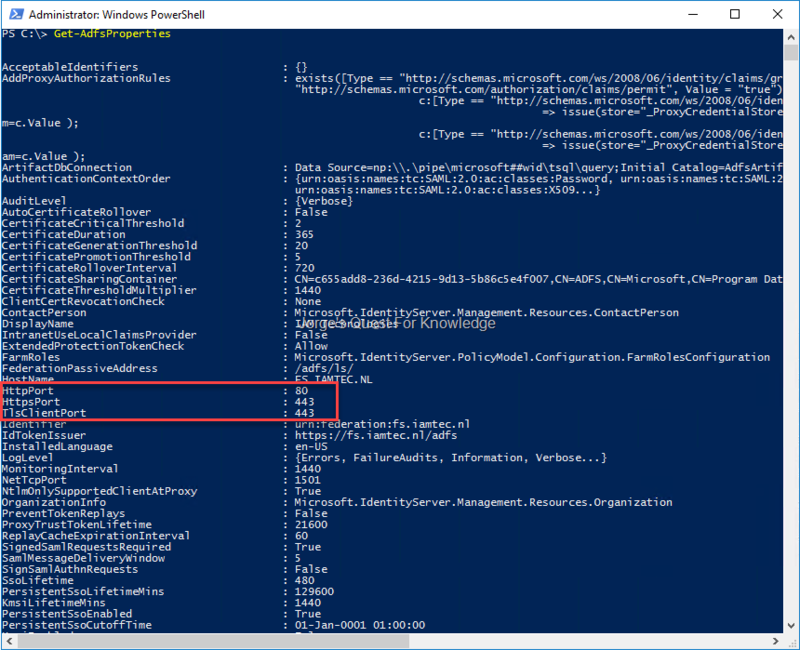 Therefore based upon the forest root AD domain based (object)SID of the enterprise admins group we need to translate it into a a group name. 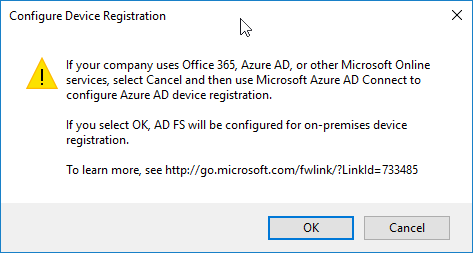 As mentioned in Configure Device Registration for Hybrid Windows Hello for Business device registration and authentication must be enabled in ADFS to support Azure AD Device Authentication on-premises against ADFS. It describes the steps on how to achieve this. 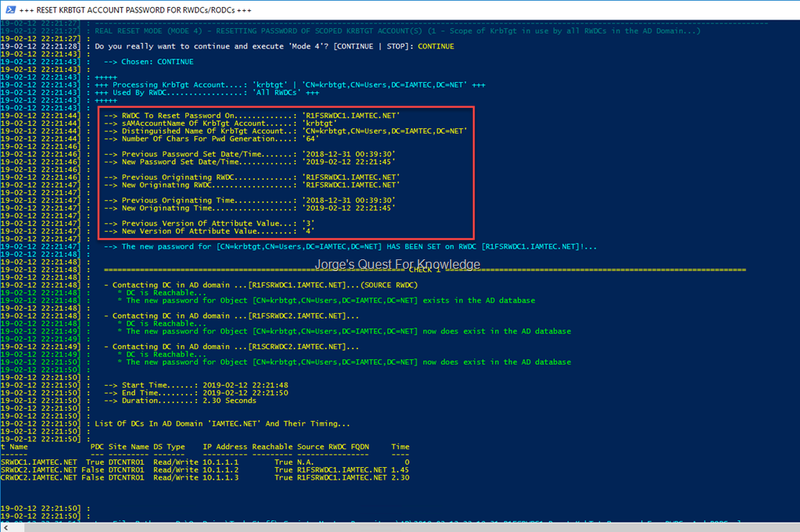 This creates the required DRS objects in the configuration NC and in the domain NC specified to host the AAD devices written back to AD. 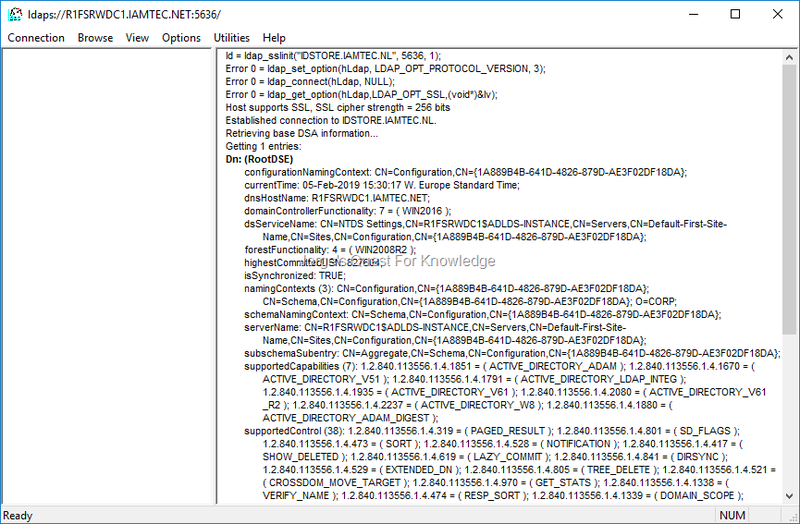 Looking in ADFS in the “Device Registration” node you will see the following, which is weird. Waiting until it finishes results in the exact same state as displayed in figure 2. Huh? …does not display the DN of the DRS objects that are in AD. It should specify a value for DrsObjectDN and DeviceObjectLocation, but it does not as you can see or even experience yourself. The event logs do not give you information of why not. 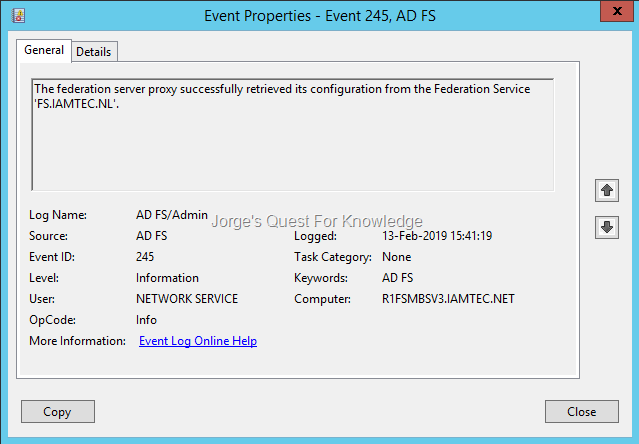 After some digging around, I found that in my ADFSv4 the EnrollmentServer endpoint was disabled and because of that it caused the device registration configuration to not succeed. 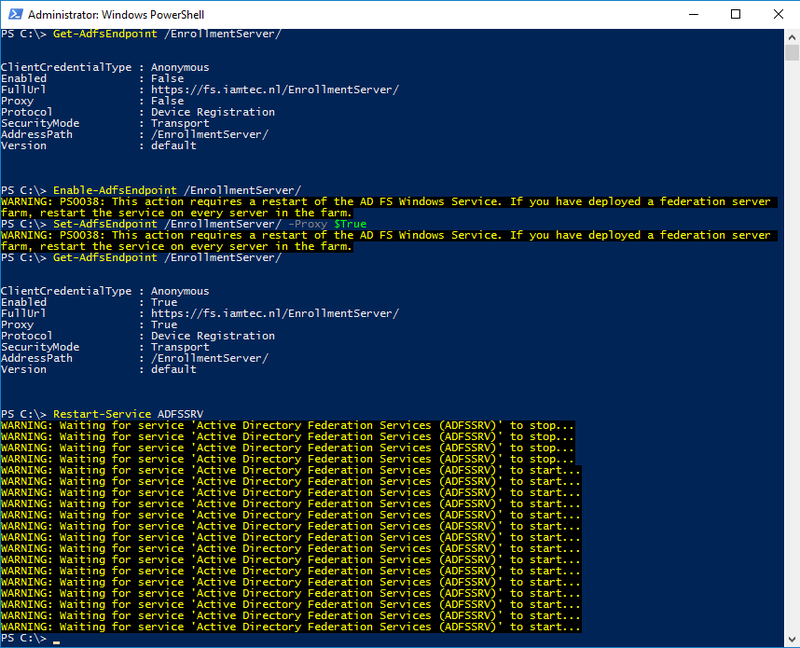 Restart-Service ADFSSRV # Execute On EVERY ADFS Server! For those working with federation systems and applications, Fiddler is THE MUST HAVE TOOL, when troubleshooting or diagnosing stuff when it is broken or not working correctly. By default Fiddler is not configured for SSO. 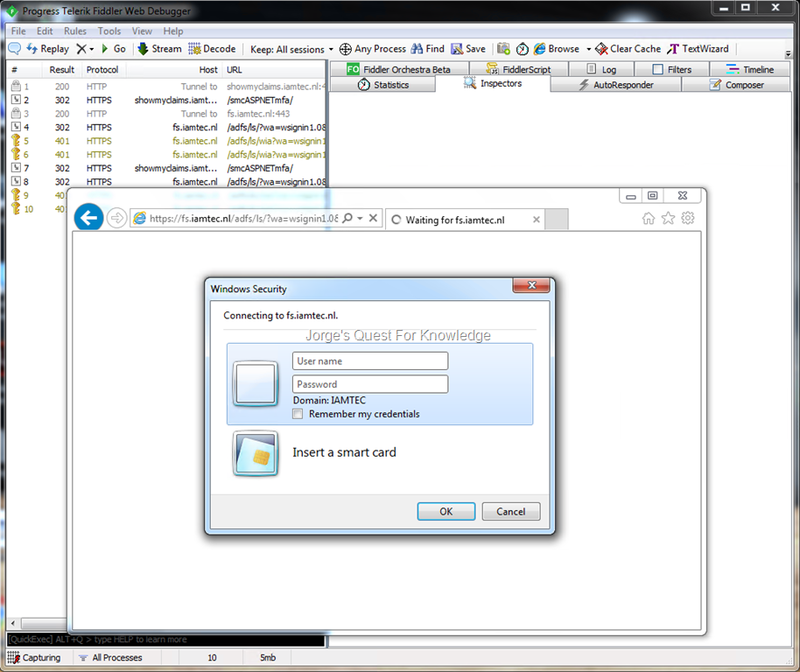 Therefore when you access a site connected to, for example ADFS, you’ll see an authentication popup requesting for credentials as you can see below. 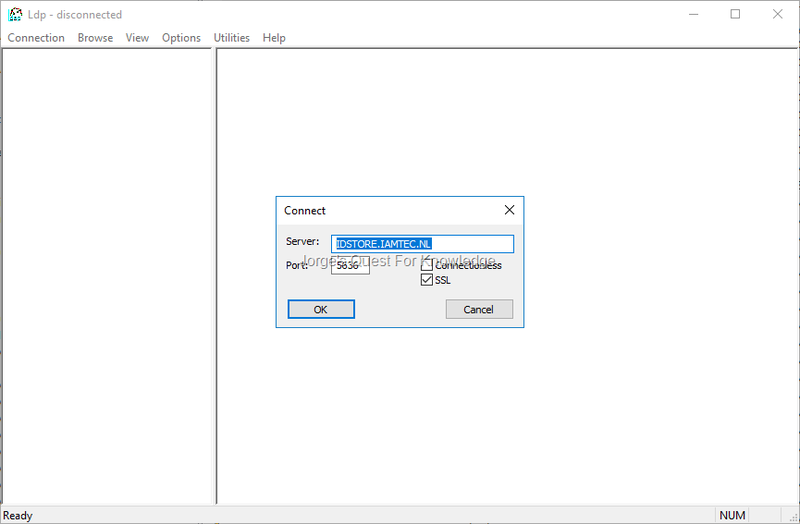 In at least the latest version of Fiddler, it is now possible to enable SSO by just enabling the Fiddler option “Automatically Authenticate” which is available through the “Rules” menu. See below. Yes! Now easily solved so you do not got authentication prompts! 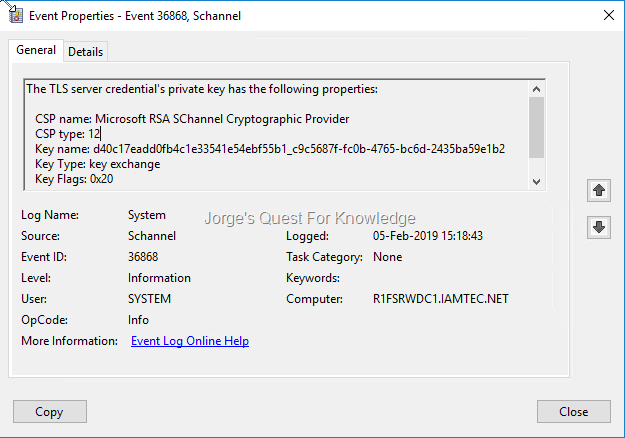 Bug Fix: Instead of searching for "Domain Admins" or "Enterprise Admins" membership, it resolves the default RIDs of those groups, combined with the corresponding domain SID, to the actual name of those domain groups. This helps in supporting non-english names of those domain groups. 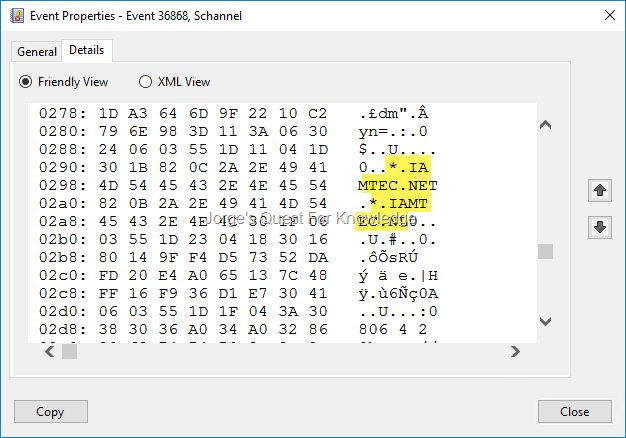 New Feature: Read and display metadata of the KrbTgt accounts before and after the password reset to assure it was really only updated once! Bug Fix: Added a try catch when enumerating details about a specific AD domain that appears not to be available. Instead of an ugly PowerShell exception/error, the table displays the AD domain is not available for targeting.